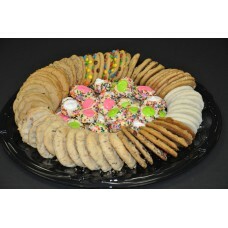 A custom sandwich served with a pickle, 2 old fashion cookies and a bag of chips. 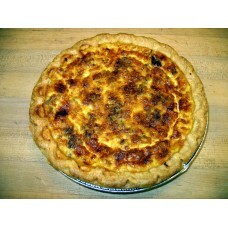 Great for office m..
A sausage, cheese and bacon 9" quiche. If you haven't tried our quiche yet, you're missing out! - fe.. 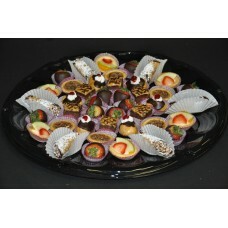 Cheese & Cracker Tray 12"
Cheddar, Swiss and Provolone, cubed and sliced served with crackers and a cheese ball. Perfect to mu.. 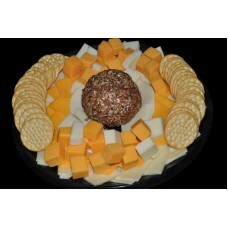 Cheese & Cracker Tray 18"
Cheddar, Swiss and Provolone, cubed and sliced served with crackeea and a cheese ball. 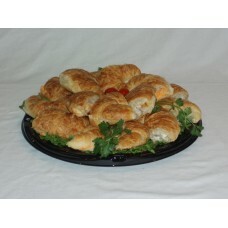 Perfect to mu..
A mixture of pimento cheese and chicken salad on fresh baked croissants. 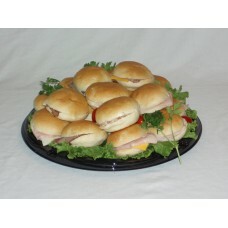 A twist on the traditional ..
Dollar Bun Sandwich Tray 12"
Ham, Roast beef, & Turkey finger sandwiches with your choice of cheese. 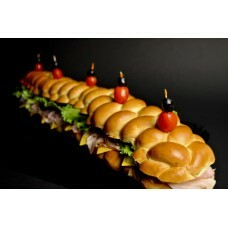 Mayo and Mustard on the ..
Dollar Bun Sandwich Tray 18"
Seasonal fruit served with whipped cream dip. (feeds approx. 15).. 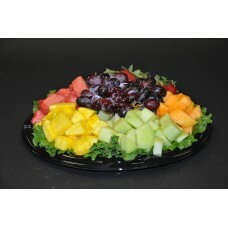 Seasonal fruit served with whipped cream dip. 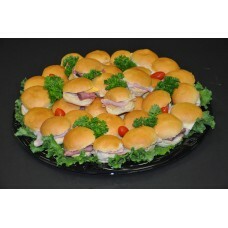 (feeds approx. 35)..
A great way to start the day! 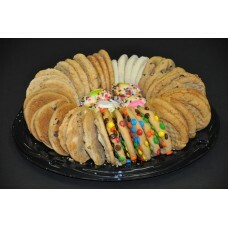 12 assorted small muffins, 12 assorted mini danish & 6 mini baked ..
A great way to start the day! 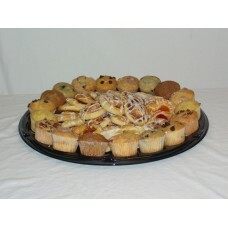 18 assorted small muffins, 18 assorted mini danish &&nbs..
A spinach, cheese and bacon 9" quiche. 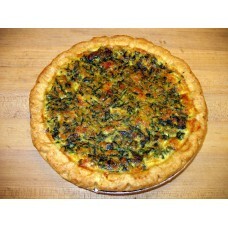 If you haven't tried our quiche yet, you're missing out! 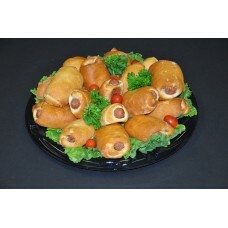 - fe..
Mini Sausage Roll Tray 12"
Our scrumptious 2 oz. 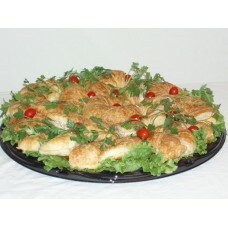 sausage rolls garnished with parsley and cherry tomatoes. 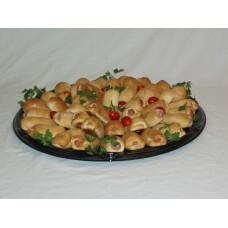 Serve these warm wit..
Mini Sausage Roll Tray 18"
3 foot party sub with customer's choice of meats, cheese and dressings on our moist and thick challa..
An assortment of our most popular miniture pastries- 20 pieces..
An assortment of our most popular miniture pastries- 40 pieces..